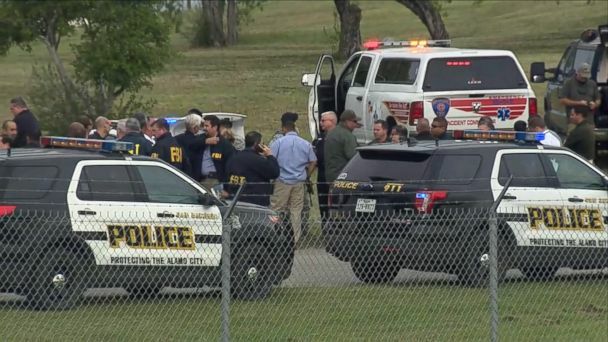 Military officials said the shooting that left two airmen dead on the Lackland Air Force Base in San Antonio, Texas was a result of "workplace violence." The incident happened Tuesday morning and the base was placed on lockdown, a defense official told ABC News. The base later said in a statement the incident was "contained" and that an investigation is underway. Officials said that two weapons were found at the scene. The incident does not appear to be an act of terrorism, an FBI spokesman said at the press conference. The base said the names of the two men were not being released pending notification of next of kin. The Bexar County sheriff said earlier today the incident appeared "to be murder-suicide."